WOW! 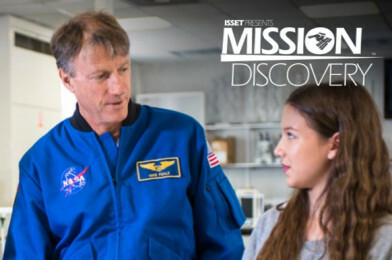 Mission Discovery invites 14 – 18 year old students (UK Year Groups 9 – 13) from every corner of the world to spend a week working in teams of 6, under the guidance of NASA Astronauts, NASA personnel, rocket scientists and world-renowned professors. The goal is to design an experiment, which could benefit the human race, whether it is on Earth, the Space Station, Mars, the Moon or beyond! Successful experiments will be performed aboard the International Space Station. At the end of the week the best experiment is selected and will be launched to the International Space Station (ISS) and conducted by the Astronauts on board. Throughout the week students will hear a variety of talks from our experts, based on a range of themes including team building, leadership, space, the sciences and personal development. With the help from our brilliant NASA role models, students will finish the week by presenting their idea to ISSET’s judging panel and one experiment will be selected and launched to the ISS on a SpaceX Rocket. “Mission Discovery was launched in 2012. Since then, we have worked with 13 NASA Astronauts, held programmes in 4 continents for over 6,000 students sending 20 experiments into space on 6 different rockets with 6 further experiments scheduled to launch over the next year. Mission Discovery winners have appeared on NASA TV, BBC, ITV, and Channel 4, along with numerous press publications internationally. If you’re looking for an exciting challenge, which could change your life and build your future, this is it! There is no selection process, giving everyone equal opportunity to get involved. Click here to find a mission!